Chances are if you're looking for a wedding gown you're browsing online. Maybe you've narrowed down your search--decided you like the evening gown look but not absolutely, positively, 100 per cent sure an A-line is out of the question. Next you get up from the computer and go out shopping. You hit every salon within a twenty-mile radius, go through racks of gowns in fabrics you never knew existed. You try on a few in every shade and texture of white imaginable. And while you feel you've had a crash course in bridal, still, nothing out there's really grabbed you. Then . . . a week or two later this picture of a gown finally comes together in your head--the neckline you found in Weddings; the sleeve on the dress you tried on in the salon combined with the sweep train you spotted last week in the Film Noir. Once all this gets put together you'll have a custom designed gown, something one-of-a-kind like no other in the world. I know the exact dress I want but can't find it online or in the stores. Luckily a friend recommended a designer she used. How is custom design different from buying in a salon? Every first consultation begins by asking questions about the actual wedding itself. You'll look at and evaluate all the factors involved in optimizing gown design; the scale of the ceremony, the nature of its backdrop, your use of tradition, even the surfaces on which you'll be walking. With respect for cleaning and preservation, sometimes even post-wedding plans are made for the gown. If you've brought any photos, magazine clippings, sketches or swatches of fabric, these are discussed, usually with the designer running a few of her own ideas back to you. I keep a scrapbook for each of my clients starting with the ideas she's brought in. Cost of materials, fabrics and a few other details are explored. If the designer has a small sample collection, this is usually when you can begin trying on gowns to see what the fabrics are going to look and feel like with you in them. This is also the time you'll be looking over how well the samples are made. And don't worry whether or not you know haute couture techniques here--just pull up a hem or take a look inside one of the garments. You'll know fine workmanship if its cleanly made and as beautiful on the inside as out. Eventually a gown is in the making. After a final sketch is approved, a written estimate follows, complete with with fabric swatches and your measurements are taken. For every gown order a paper pattern is made. 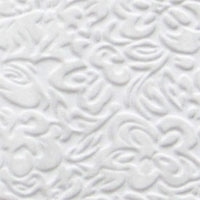 Think of the paper pattern as a blueprint, a record of all your dimensions on it. From this, most designers (some dressmakers too) work out a muslin. The muslin is an actual cotton mock-up and 'living pattern' of your gown's design, fitted exactly to your body. Now, think of your muslin as the foundation--the groundwork upon which your dress will be built. This is where most of the fine tuning will be done to that perfect fit before one cut or stitch goes into the true gown fabric(s). After your muslin fittings (there may be two of them), the muslin is unstitched and laid out on the actual fabric and the gown is made up. Since most of the fitting has been worked out on the muslin, second and third fittings usually follow up with finishing touches to the gown like hemline, closures, remaining design details, etc. Be prepared for more than three fittings though. A gown made from the ground up is a work in progress and each step along the way is painstakingly taken, checked and rechecked. Keep in mind you want your gown delivered at least a month before your wedding. Yes, you'll need to synchronize your calendars on this one. You want to be able to relax and deal with all those other last minute details involved with your wedding, not still fussing around over hemlines. 1.) So what's the difference between a dressmaker and a designer? DRESSMAKERS-Once upon a time before mass production, every woman either had a dressmaker or became her own. Nowadays most dressmakers specialize. You'll want one with expertise in bridal and/or evening wear. Dressmakers either work on an hourly basis or estimate out their labor. They usually work from store bought patterns and expect you to supply the fabrics and materials such as buttons, zippers, etc. This is a good option if you already have a unique cut of silk or know how to shop around yourself for the fabrics. CUSTOM BRIDAL DESIGNERS-More and more have sprung up in studios and ateliers over the past decade. They're experts in helping you translate what you see in your imagination as reality. Like a dressmaker, they work one on one with you. Unlike a dressmaker, they usually have tonier establishments and higher prices. The reason? Their services are zeroed in on brides. Most offer small sample collections as well as bolts of fabric right in house to inspire you along with your decision. Custom designers usually work all the materials and labor into the price of the garment. Prepare to pay more here. Prices can range from $1000.00 for something simple and unadorned, up to $10,000.00 for the works: full trains, layers of petticoats, underskirts, bustles, intricate beading, etc. Median price range for a custom wedding gown as of this writing would be around $3-5000.00. ONLINE- Most bridal designers have their own sites. Type in custom bridal designers--Los Angeles and you'll come up with thousands (great if you want to browse even more gowns) Mostly what you'll come up with is a hodgepodge of big names, the not-so-famous one-of-a-kind designers with their own sites; a few bridal retailers carrying designers, etc. If you've hit a top LA designer you absolutely love like Amy Michaelson and happen to live in the area, try to make an appointment. Realize some top designers do custom work in their flagship store. Remember though top designers get top dollar. As for custom designers, if you're near a metro area, your chances of connecting with the right one are good. Check out the gown photos on the site. Is her vision and your own on the same page. Next go to her real brides gallery . . . (if there is one) see what others looked like on their wedding day in her creations. SALONS-Bridal salons and specialty stores sometimes employ custom designers or dressmakers either in house or as outside contractors. Depending on how they are set up, sometimes they'll give a referral if it doesn't interfere with the flow of business. CONSULTANTS-Bridal consultants or planners are an excellent source for referrals and usually know who is truly expert in the area by years of working with them. Some consultants are willing to work on an hourly basis or for a small referral fee. FASHION EDITORS-Fashion or wedding section editors in regionals can be helpful if you reach them directly or run across their editorials on bridal wear. Most newspapers feature a spread on weddings twice a year. Here, private designers are sometimes featured and listed. Ask for back issues. MAGAZINES-In the past few years, studio and private wedding designers have put gallery style or half page ads in some of the major bridal glossies. A few run regional sections with listings and the designer's particular specialty. YELLOW PAGES-Before the internet, this used to be the first place brides looked. After word of mouth, this is still the best place to find a dressmaker (not designer) in my opinion. FRIENDS-Finally word of mouth and recommendations through friends find the best designers and dressmakers. Someone knows someone who knows someone and often the same name will keep popping up in discussion. Follow it. 2.) OH HOW LONG OH LONG MUST I WAIT? We designers put in oodles of hours and a high level of craftsmanship when it comes to creating one-of-a-kind gowns. Working with fragile, white fabric and delicate laces is an art form. Add to that keeping those fragile laces intact and white gowns looking fresh through fittings. Figure a gown hand-crafted by a designer usually takes 4-6 months to complete from a listing of your measurements. The greatest thing about custom design is that you'll have more of a one-on-one collaboration with the designer and input on any choices of fabric, silhouette and overall style. 3.) WILL MY CUSTOM DESIGNED GOWN COST ME THE DOWN PAYMENT ON A HOUSE? Chances are, no, unless you order Lady Di's silk taffeta gown with the 25 foot train and layers of uber-pouf. Most custom designs run neck and neck with the prices you'll find in better salons. Custom designers usually work all the materials and labor into the price of the garment. Prices can range from, $1000.00 for something simple and unadorned up to $10,000.00 for the works: full trains, petticoats, underskirts, bustles, intricate beading, etc. Medium price range for a custom wedding gown as of this writing writing would be around $2500.00-5000.00. A custom designed gown is the pinnacle of pure construction. Brides who opt to go custom believe a gown should be comfortable as well as beautifully lined so she can wear it like a second skin--the whole component moving with her as if it is part of her body. If you think about this, it makes sense. She's connecting with a man. In spirit they link. The dress is symbolic of all that, so it should be a part of her and move right along with her. In the end, a custom designed gown is definitely worth the wait.